Local Vape Shop Near Me? Have you asked yourself the question "are there any local vape shops near me"? At Vapor Galleria of Pittsburgh, PA we want you to enjoy your experience in our store and feel comfortable with our products and service. We care about our local customers so we ensure all of our eJuice is manufactured in our high quality eLiquid lab which allows you to feel safe with each cloud you make. With 100 lab created eliquids to choose from, we have something for everyone. 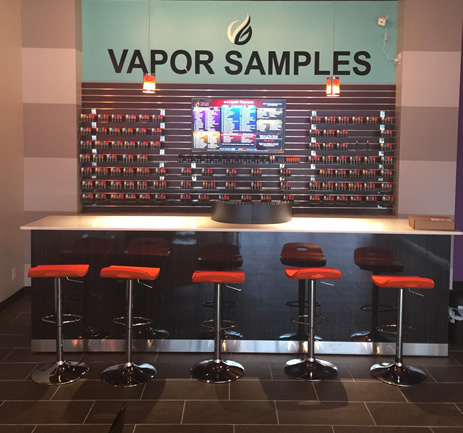 Whether you come to our vape shop as a new customer that is vaping for the first time or you're a vapor connoisseur, you will enjoy your experience at our local shop. Our local vape shop offers everything from mods to batteries as well as a full assortment of vaping accessories. Ask us about our flavor of the week and our current hardware deals we are running. We have an e-Flavor for everyone's taste. Come in and sample the different flavors we have. We carry exotic flavors and Savory flavors. You can find tobacco and menthol flavors on our shelves as well. Are you looking for a fruity or high VG flavor, we have it in stock and ready to go. Are you looking for quality mods and tanks? We carry products from manufacturers like Aspire, Kanger, eLeaf and more. Choose from tanks, coils, RDAs or even entire kits. Hundreds of items to choose from.